The Style Show: Style Template Wednesday # 4 - Holiday Checkmate! Style Template Wednesday # 4 - Holiday Checkmate! As far as I can remember, it was January of this year that I mumbled about what are my plans for the next Christmas season. Here I am right now at this very moment waiting for a couple of days to celebrate my most favorite holiday and then looking forward to a new year of hope. Yeah, time flies so fast and I cannot stop thinking ahead of almost everything like future plans, career and hopefully, love life (Lord, please?). Also, it was the best season to wear all the things that we want because of the chilly weather and vibe. For my style template Wednesday segment today, I think I had enough with plain colors combination for Christmas. I think it is best to look more than that, right? 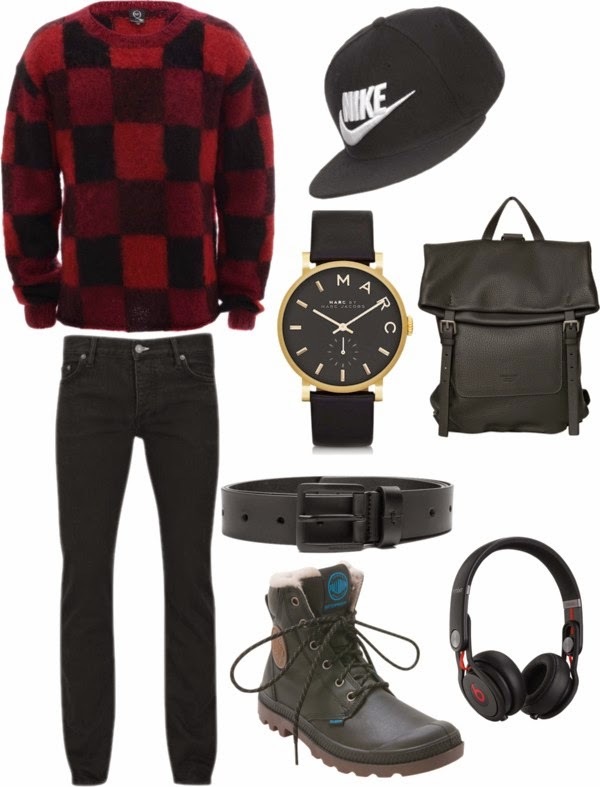 Knit sweaters are one of the men's favorite clothing this season and it will be fun if you will sport a plaid pullover to avoid outfit boredom (H&M). Also, together with an unpredictable weather, a skinny jeans (Uniqlo) and a pair of black boots (Palladium) will get you through the day. A snapback from Nike will keep you dope. A good tune will keep you accompanied using Beats by Dr. Dre. A good backpack matching with belt and Michael Kors watch will wow the crowd. I also have several knit sweaters reserved for the Christmas season. This would definitely be a great outfit for the holidays.